Two rather big developments have happened regarding my absolute fave Olly Murs this last week. First, is that I finally announced last Monday evening that my wot fansite I used to run and edit about him is returning in the new year (more of which here). 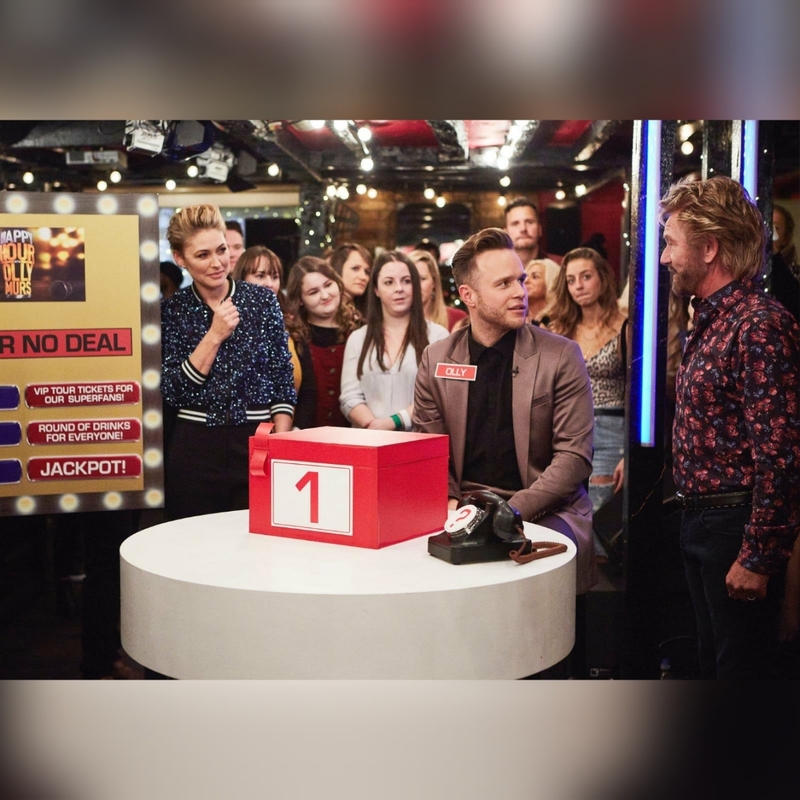 The second, is that adding to his other titles he often comes under – popstar, singer, songwriter, coach, model, fashion designer, football player – came the new title of TV host, with the rather cleverly named Happy Hour With Olly Murs that aired on ITV last night. And we’re not kissing bum here when we say it was absolutely brilliant. Of course, this isn’t the first time Murs has had a TV show all to himself. There was, back in 2014, a ‘Audience With’ type show, also on ITV, called A Night In With Olly Murs. It included, amongst other things, a lip sync off with John Bishop, a sketch with EastEnders star Shane Richie on Albert Square, and a prank on his telly wife and other half of Carolly, Caroline Flack. This however, was much better, in so far as it was a format that really played to Olly’s strengths. Filmed TFI Friday stylee from a pub in Essex, it saw Olly performing songs from his current album “You Know I Know“, and playing games and getting involved in all sorts of anarchic fun with friends, family and the likes of Rochelle Humes, Emma Willis, Sir Tom Jones and Jennifer Hudson, not to mention his showbiz dad Bradley Walsh overseeing proceedings as the pub landlord. Noel Edmonds even put in a surprise appearance, challenging Olly to improve on his well documented disastrous performances both before and at the arrival of his fame on Edmonds’ former teatime game show Deal Or No Deal, where he won the sum total of £10.50 over his two games (spoiler alert: it ended a bit better this time round). There was also the inclusion of a Karaoke Wheel, which saw to it that he duetted with Sir Tom on his “It’s Not Unusual” after a game of darts (and a pig’s trotter), and with Bradley in both covers of ‘Wannabe’ by Spice Girls and ‘That’s Life’ by Frank Sinatra. Jennifer meanwhile did a rather more serious collaboration, taking the Demi Lovato section for a performance of his megahit ‘Up’. But that wasn’t all. Some superfans in the pub crowd were also given the surprise of their life (we’ll just say for now that a bedroom and an airing cupboard housing the complete collection of the Fifty Shades Of Grey books were involved) and Olly also performed his megahits like ‘Dance With Me Tonight’, ‘Troublemaker’ and ‘Moves’. As he said himself, it was a perfect way to celebrate his decade in the music industry thus far. It was funny, relaxed and proper old school entertainment, which there isn’t a lot of around at the moment. ITV would do well to green light it for a full series, because let’s face it – everyone needs a little happy hour in their lives. And if Olly happens to host it, it’s all the better for it. 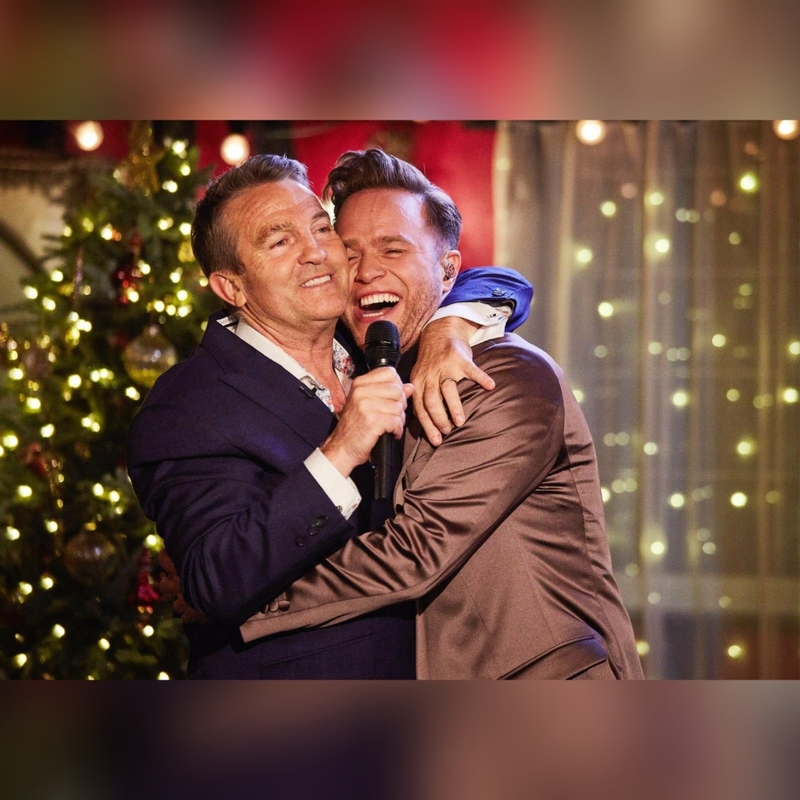 ‘Happy Hour With Olly Murs’ is available for UK viewers to watch back now on ITV Hub – it’s also repeated this Thursday, 20th December at 10.45pm on ITV.